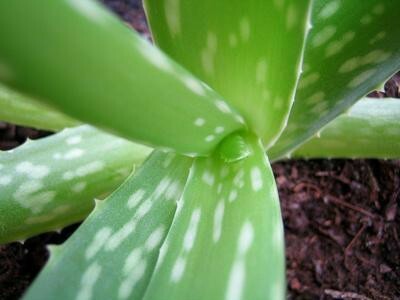 Loaded with beneficial amino acids, aloe vera is most commonly used topically to treat sunburn. 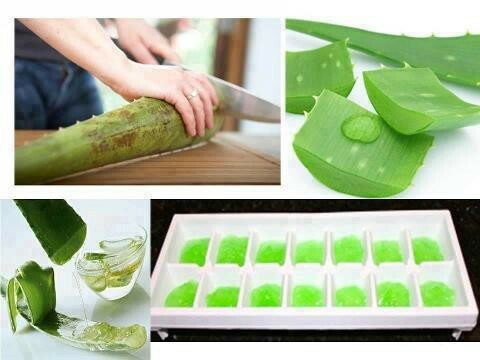 Aloe Vera pulp on your skin also works very well to treat acne! This like liquid gold is much more than a skin conditioner and fortifier however, it is also very beneficial for the intestines. It has so many healing and soothing properties that are most often recognized for the skin. Consider the internal skin of your body, that would be your digestive tract. From your mouth on down, Aloe will heal the internal tissues. It can heal ulcers, heart burn, repair unhealthy healthy intestinal lining, relieve joint pain as well as many other ailments. The list is long! Aloe Vera's anti-inflammatory properties alone are powerful, plus it is also full of nutrients. Juice some today and see how happy you can feel. Many health food stores have these big beautiful leaves or whole plants to choose from. You can also choose pre made juice. I obviously suggest organic, whole leaf is also a good choice or inner fillet. I use aloe as the main ingredient in a natural cough, chest congestion remedy. Cut off the tines, take out the pulp, blend with lemon juice (freshly squeezed) and a little bit of raw honey. Store in the refrigerator for several days. To serve, boil water to make a tea, add one tablespoon of aloe mixture. It works wonders. Drinking aloe vera juice can help your digestive system function normally. If you drink concentrated aloe vera leaf juice before a meal, the aloe will get your digestive enzymes flowing and help your body break down hard-to-digest food. Aloe vera juice also helps your digestive system better absorb the nutrients in your food. Drinking aloe vera juice helps to prevent stomach issues such as gas, bloating and constipation. If you suffer from anemia, a condition caused by a low number of red blood cells, you may benefit from drinking aloe vera juice. Try drinking aloe vera juice before a meal to stimulate your bone marrow, which creates red and white blood cells. Aloe juice can help reduce the fatigue and headaches associated with anemia. Aloe vera juice can be used to encourage gentle weight loss. Drinking aloe juice stimulates your metabolism, helping your body burn calories more quickly and reducing the amount of time food stays in your system, giving your body less time to absorb calories from the foods you eat. According to the International Journal of Phytotherapy and Phytopharmacology, in a study led by Kwanghee Kim in September 2009, processed aloe vera gel, or PAL, administered to overweight mice appeared to lower blood glucose levels by decreasing insulin resistance and also lowered triacylglyceride levels in the liver and plasma. Kim and colleagues determined that the oral administration of PAG prevents the progression of non-insulin-dependent diabetes mellitus-related symptoms in mice fed a high-fat diet, suggesting that PAG could be useful for treating non-insulin-dependent diabetes mellitus. Drinking aloe vera juice daily also contributes to a healthy immune system. Drinking aloe vera juice could be especially helpful if you suffer from a chronic immune disorder such as fibromyalgia, as polysaccharides in aloe vera juice stimulate macrophages, the white blood cells that fight viruses.